Fortunately, all the recent health news about obesity, America's latest health crisis, comes with a silver lining. People are becoming more aware of what they eat, and they're choosing fresh, healthy food over things with empty calories, additives and preservatives. Farmers' markets have become community gatherings where chefs and home cooks shop side by side and the menus in restaurants and homes feature the ingredients that are fresh that day. Children are growing peas and carrots on farms in the suburbs and even in big cities. Television chefs are revamping school lunches to include more fresh vegetables and meat. It's a trend that's going in the right direction! 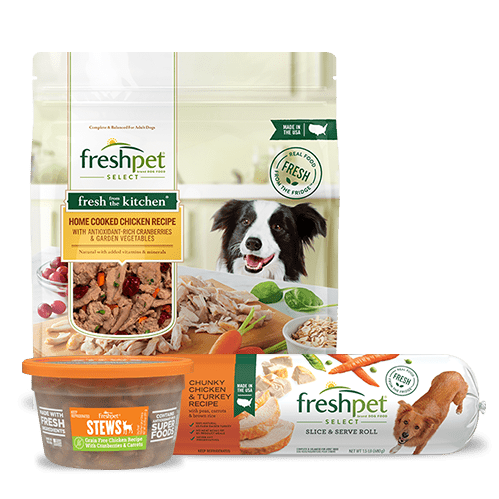 Now that we're finally cluing in about the importance of eating fresh foods, it's time to extend the healthy benefits to our pets and offer them fresh dog food and fresh cat food. 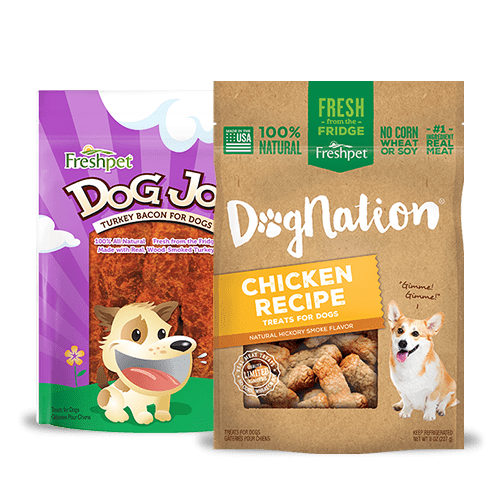 Instead of feeding them dry or canned food that's full of wheat, corn, fillers, artificial colors and preservatives, it's time to give them a fresh alternative. Keeping food fresh without artificial preservatives protects the nutritional integrity of the ingredients. That's why all fresh dog food and fresh cat food must be refrigerated, just like the fresh groceries we buy for ourselves and our kids. 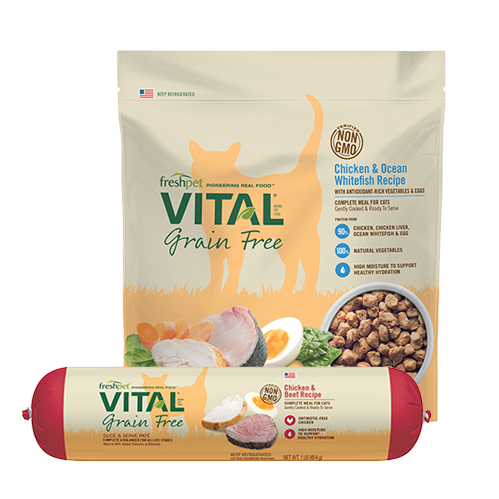 People who have been feeding their animals fresh pet food tell us that their animals are healthy and vibrant with shiny coats and bright eyes. 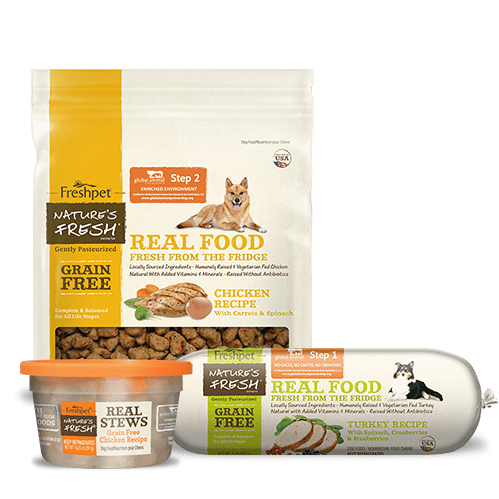 We hear stories almost daily about how sick and old pets have renewed appetites and energy after they switched to feeding fresh pet food. 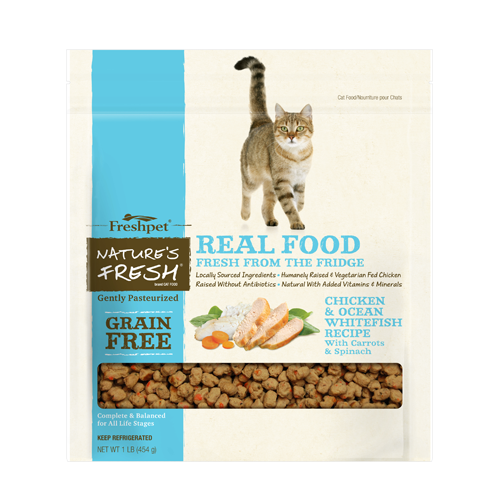 Buying fresh pet food in the grocery store is convenient, too. (Face it, most of us are there more frequently than we'd like to admit!) 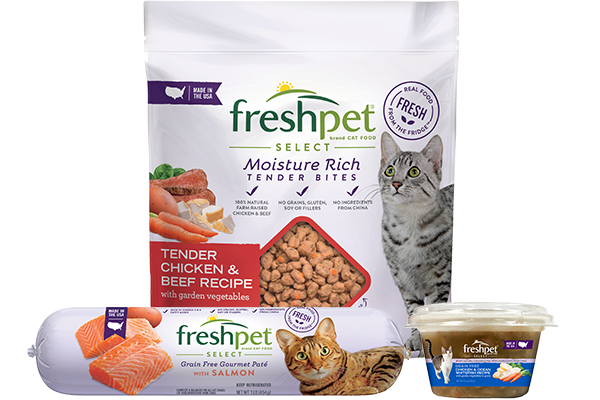 Fresh pet food has come a long way since the days when concerned pet owners had to cook it themselves. 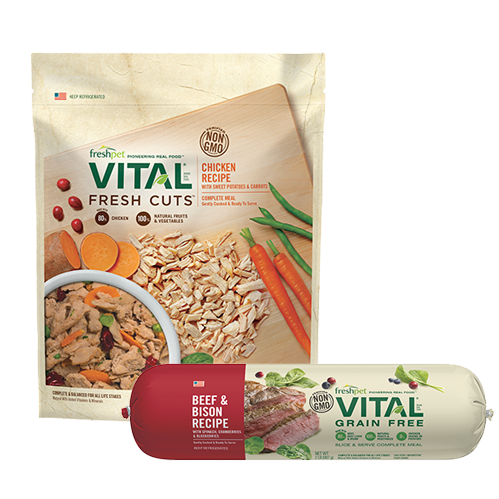 Feeding pets a healthy diet of fresh meats, veggies and brown rice is simply the next step in improving the whole family's eating habits!